The Equine Business Edge is a one-of-a-kind resource for the horse industry! Each month, subscribers receive valuable tips, information, and news to help their own horse businesses boom. 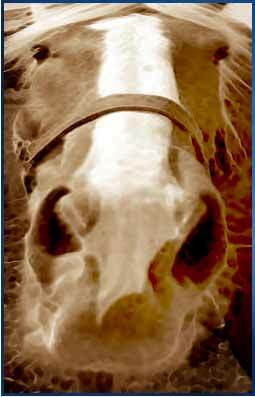 Ready to take a closer look at your equine marketing? If you like the informational articles on the Equinnovation web site, you will love getting each issue of The Edge delivered to your own email box. Subscribe today and don't miss a (hoof) beat! Just fill in the form below to automatically receive the latest issue of The Equine Business Edge by email. Before you subscribe, I want you to know that your contact information will not be sold, rented, or lent to any other person or business. Subscribe with confidence! And one more technical matter: If you subscribe using a "free" email address, such as "you@hotmail.com," your well-intentioned email provider may not allow your copy of The Edge to get through its filters. You will have a better chance of getting every issue of The Equine Business Edge if you 1) use an email address from your ISP or one that is affiliated with your own domain name, and 2) add "ingrid@equinnovation.com" to your list of allowed email senders. Enjoy! Which marketing topics are you most interested in reading about? How did you hear about Equinnovation? Subscribe to the FREE Equine Marketing Newsletter! We invite you to visit Design the Dot for marketing services for non-horse related businesses.